Patrice Desilets, the creator of Assassin’s Creed, has finally finished his battle with Ubisoft over the rights to 1666 Amsterdam, a game concept he developed. In an announcement from Desilets’ own studio Panache Digital Games, it has been revealed that rights to the game have been given to Desilets and a $400,000 lawsuit against Ubisoft has been dropped. Want an Assassin’s Creed style open city to explore? Try one of the best sandbox games on PC. 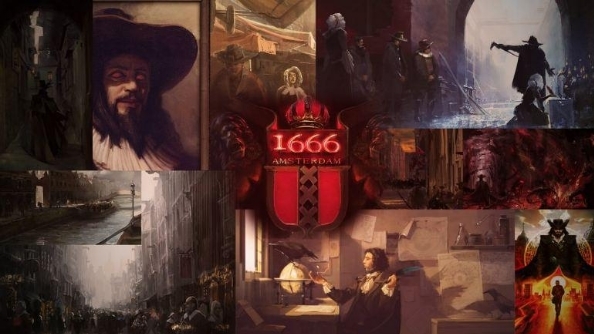 1666 Amsterdam was originally conceived as “the new Assassin’s Creed” and would have had connections to the painter Rembrandt. Desilets created the idea while at THQ Montreal, but the rights to the IP were acquired by Ubisoft when they bought the studio in 2012 after THQ’s bankruptcy. Since departing Ubisoft in 2013, Desilets has been fighting to take custody of the IP. Desilets is happy to have reached a conclusion to the situation with Ubisoft without resorting to a court trial, however 1666 will not suddenly go into production now Panache Digital Games have the rights. Instead, the studio will continue work on Ancestors: The Humankind Odyssey.